Albany, US, 2019-Feb-11 — /EPR Network/ —In order to offer valuable insights on the actinic keratosis treatment market, a report has been recently published, titled as, “Actinic Keratosis Treatment Market: Global Industry Analysis 2013-2017 and Opportunity Assessment 2018-2028”, which has been updated in the broad repository of Market Research Hub (MRH). Photo Dynamic Therapy (PDT), utilized in treating actinic keratosis, is projected to reign supreme over other treatment methodologies, which in turn can be accounted for growth of market. Increasing number of options for actinic keratosis treatment and 39 studies for the development of its treatment in phase 4, is predicted to present lucrative opportunities for the actinic keratosis treatment market in the forthcoming years. 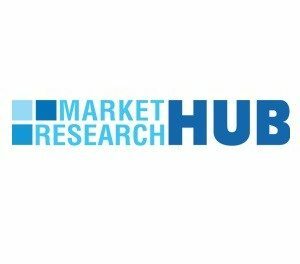 These factors collectively are anticipated to help the global actinic keratosis treatment market record a striking CAGR of over 7% through 2028. Fierce competition in the actinic keratosis treatment vicinity to develop an effective product is yet another growth determinant for the actinic keratosis treatment market at the global level. Increasing awareness among people, government, and healthcare organizations about the acute condition is anticipated to fuel the rapid adoption for actinic keratosis treatment. The report commences with a descriptive executive summary of the market. The report consists of a detailed overview on the market, presenting important definitions pertaining to the market and its dynamics. Apart from a brief description on key demand drivers for the market, the report also encompasses of restraints, challenges, threats, and opportunities that influence the market growth. The report lends valuable insights on the macroeconomic and microeconomic factors that trigger the market growth. The report has been forecasted for the duration of 2018 – 2028 and historic data from an analysis of period 2013 to 2017 has been incorporated in the report. The market evaluation has been done in terms of value (US$ Mn). Key inclusions of this report – Parent Market Analysis, Treatment Regimen, Major Regulations, Payer Mix Analysis, and reimbursement scenarios have been highlighted in the weighted chapters of the report, which will help the stakeholders of the market understand the overall share of the global market. A descriptive taxonomy of the global market has been presented in the report, depending on the region, end user, disease type, and treatment type. An in-depth analysis on the actinic keratosis market has been included in the report on the basis of the geographies analyzed – Latin America, North America, Eastern Europe, Western Europe, Japan, Middle East and Africa (MEA), and Asia Pacific excluding Japan (APEJ). The report sheds light on the historical market size for each of these regions and analysis, depending on the segments of the market have been highlighted in the report. Behemoths of the market comprise of Nestle Skin Health Company, Sun Pharmaceutical Industries Ltd., Biofrontera AG, Novartis AG, Bausch Health Companies Inc., GlaxoSmithKline Plc., Almirall, LLC, Leo Pharma A/S, Laboratories Pierre Fabre, and Cipher Pharmaceuticals Inc. A descriptive analysis on each of these companies, besides revenue shares, recent developments, SWOT analysis, and key trends have been included in the report.